I have a confession. I’m scared of heights. But that doesn’t stop me visiting Santo Stefano di Sessanio whenever possible. The roads up to this medieval hill town get steep, as do the narrow lanes in the town itself, which all sort of spiral upwards, or downwards, depending on your point of view. Once arrived at La Bifora e Le Lune, our usual B&B, I’m right as rain: cozy and comfortable and enthused by the prospect of a couple of days in what has been voted one of Italy’s prettiest towns. Santo Stefano is one of those classic feats of old architecture, a tiny town in perfect harmony with the surroundings – all pale stone, terracotta roofs, flower boxes and balconies, with an assortment of boutiques and restaurants whose chairs and tables spill onto the piazzas and courtyards outside… and it has the most stunning views. Hardly surprising given its location. In Roman times, ‘Sextania,’ was a fuelling point for traffic from Rome to the Adriatic. Built in the 11th Century, on top of that settlement, Santo Stefano became a wool-producing center. It saw its heyday the 16th Century under the Medici family when the town grew to the size it is today. But with the decline of the wool trade the town suffered poverty and by the mid 1800s was all but abandoned and in disrepair. Enter Daniele Kihlgren, a Swedish-Italian entrepreneur who, in the early 2000s, began restoring Santo Stefano to its former glory; sparing no expense in converting many of its cottages into modern-day apartments. The result is the Sexantio Albergo Diffuso, a unique ‘scattered hotel’ where cottages throughout the town make up the reception, restaurant and guest rooms. A description of the hotel that I love – not my own – is “5-star medieval chic.” But don’t get the wrong impression: although it sports all your modern comforts, every part of Sexantio Albergo Diffuso remains meticulously faithful to the way things were. Daniele Kihlgren is emphatically old-world. The cottages that comprise this ‘scattered hotel’ are all authentic. 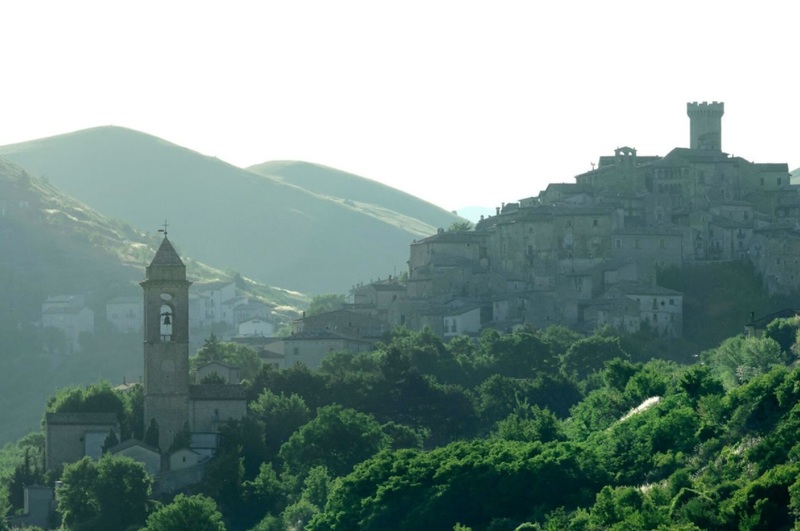 He’s even gone as far as to make a deal with the provincial authority to place a ban on the construction of any new structures in Santo Stefano. … and I personally applaud that! Having stayed at the Sexantio Albergo Diffuso, I can say it’s a stay like no other. I recommend the hotel, and its restaurant, La Locanda sotto gli Archi. The buffet is great; but for my money – and this might surprise you – the stand out meal is the simple lentil soup, with croutons made from bread baked the ancient way in original stone ovens. Before we get into gastronomy, some other options on where to stay. La Bifora e Le Lune, where we normally stay, is a safe bet, with private bathrooms, Wi Fi and all the amenities we need. Le Case Della Posta is a great self-catering option. The apartments are spacious, also with private bathrooms, TV and Wi Fi. Vegetarians take note: lentils, in a variety of forms, can be had everywhere here. The Santo Stefano lentils are famous, and a much prized ingredient. So much so that there’s a festival held each year in their honor: the Sagra della Lenticchia. The philosophy of Daniele Kihlgren and Sexantio Albergo Diffuso has a big influence on the cuisine here. 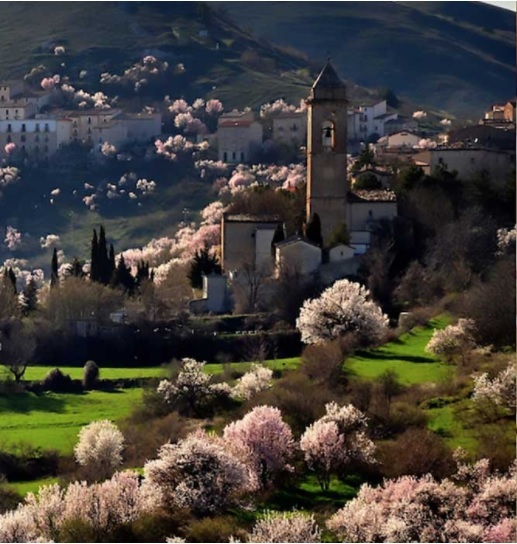 Santo Stefano is known for ‘slow food,’ which emphasizes organic whole food, harvested locally and cooked in traditional ways, in original ovens, etc. The spice of choice is saffron, for which the area is also well known. Prohibitively expensive elsewhere – here, not so much. To give an idea how important food, and saffron, is in this little town, there’s a great story told by the locals of a German nobleman from centuries ago who’d come here, buy saffron in bulk and then “cut” it with poorer quality saffron. On being discovered he was arrested and burnt alive together with his lesser load. Restaurants I suggest you try: La Locanda sotto gli Archi. 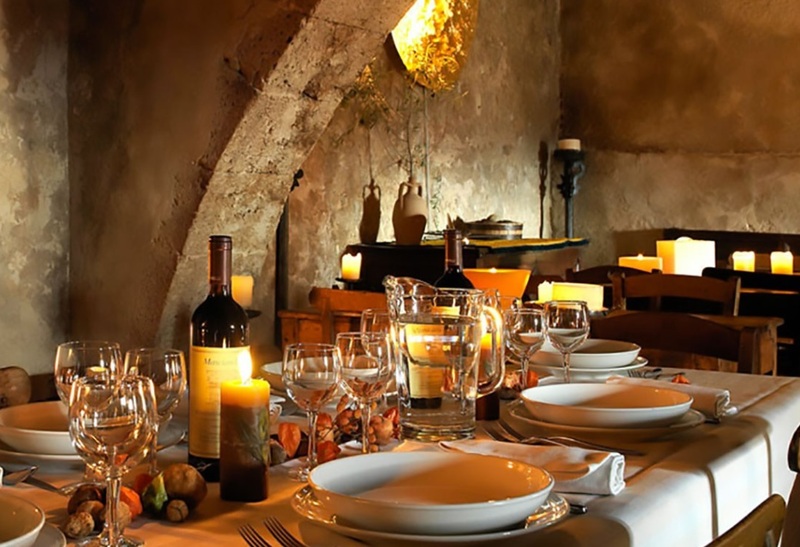 (do take the tour of their wine cellar also); L'elisir del Poeta; or if you fancy a short drive in the gorgeous Gran Sasso Mountains, Rifugio Racollo is warm, welcoming and good value for money. These surrounds are ideal for walks and bike rides. And as I said it’s a skier’s paradise in the winter. But I’m guessing you want to relax and take in some good old fashioned sights? Well, what would an Italian sightseeing trip be without a church or two? The ones to look out for are: Church of Santa Maria, the Church of Santo Stefano, the Church of Santa Maria delle Grazie. Santo Stefano is big on music festivals and competitions; and there is also one or two art galleries tucked away in the heart of the town. By car, it’s about 95 miles from Rome - less than two hours' drive - and 50 minutes from Bascianella, using the A24. You can take the Assergi exit, and go down the side of the National Park; but I suggest you drive through the Park. It takes longer, but that’s a bonus. By bus from Rome: catch the bus for L'Aquila from Tibutina Bus Station. Take that all the way then catch the bus for Sulmona. Get off at Barisciano and catch the bus for Castel del Monte, which will take you to Santo Stefano. By train: from wherever you are, get to the station at Bussi. From there, take the bus to L'Aquila, and follow the directions above. Most of all, take it slow, and enjoy.